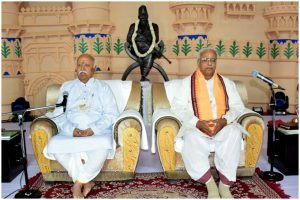 Gwalior: The three day Akhil Bharatiya Pratinidhi Sabha meet of the Rashtriya swayamsevak Sangh(RSS) started at Gwalior, Madhya Pradesh today. The representatives from all over the nation will discuss and pass resolutions on the excesses committed by the Kerala government on the Sabarimala Temple issue ignoring the Hindu traditions and faith and the need to strengthen family values in today’s materialistic era. 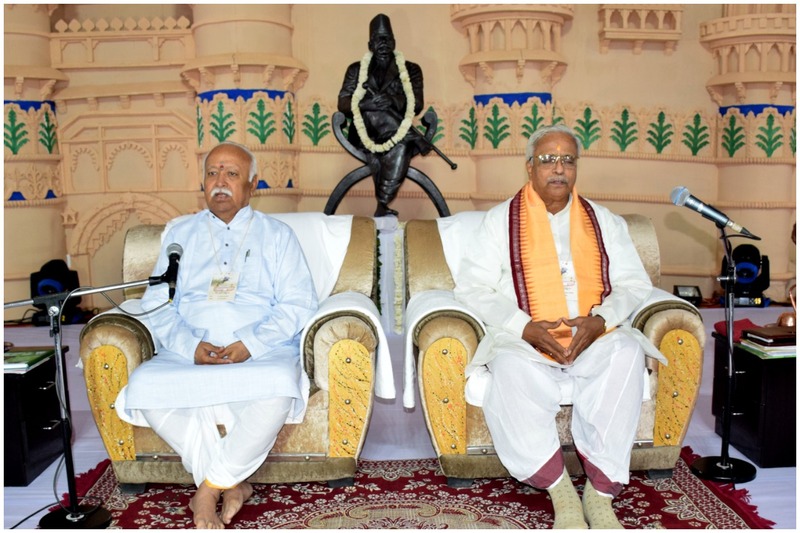 The ABPS meet started today with Param Poojniya Sarsanghchalak Shri Mohan ji Bhagwat and Sarkaryavah Shri Bhaiya ji Joshi paying floral tributes in the feet of Bharat Mata at Saraswati Shishu Mandir in Kedardham. Addressing a Press Conference earlier during the day, Sah Sarkaryavah Dr Manmohan ji Vadiya spoke about the issues that would be discussed during different sessions.He said, the Sabramila Temple issue is related to the age old dharmic traditions and Kerala government is committing excesses against Hindu devotees in the garb of Supreme Court’s decision. A resolution will be passed on this issue in this meeting. The meet will also discuss challenges for the family system in contemporary era. The RSS will work in the society according to the Bharatiya Philosophy that believes in extending oneself from ‘I’ to ‘Us’. The ABPS is the highest decision making body of the RSS. It meets once a year, said Dr Vaidya. Its meeting is held for one year in North, for second year in South and for the third year at Nagpur. A representative is chosen on every 2000 swayamsevaks. This meeting is significant in terms of expansion and consolidation of the organisational work and sharing of innovative practises and expereiences by various Prants. Thirty Five organisations which are active in various walks of social life also share details of their work in this meeting. In addition, it undertakes planning for the training camps and the functional planning for the coming year. On the issue of Ram Temple, Dr Vadiya said that the concerned parties have given depositions about their view points to the Supreme Court. Now the apex court has to take a call. 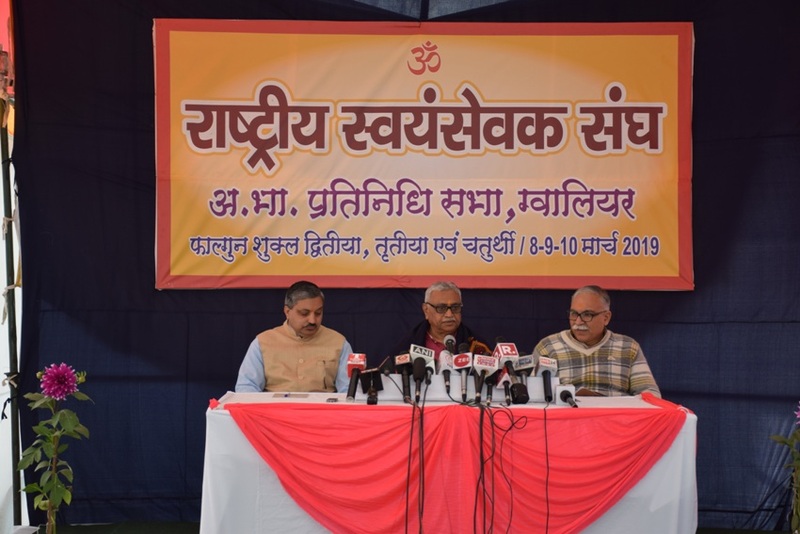 On the issue of ‘discussion on General elections’, he said that the ABPS meet will not discuss electoral politics but the Swayamsevaks will create awareness in the society about people casting their votes. 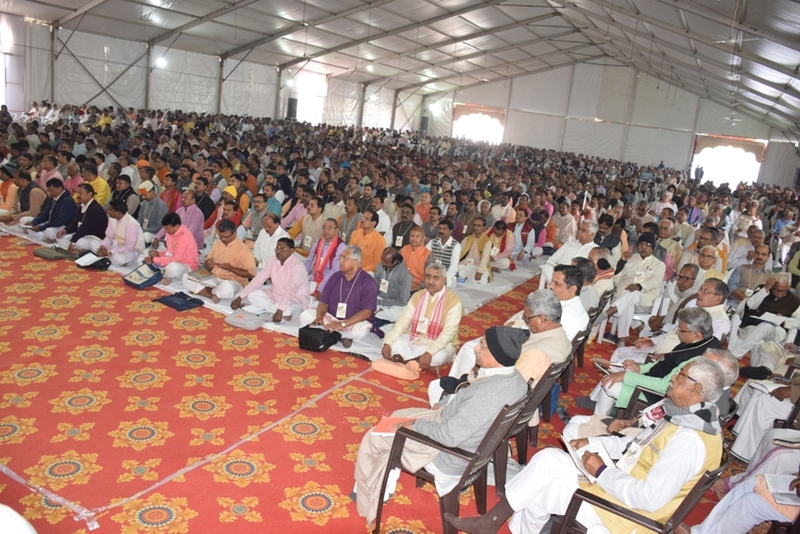 Dr Vaidya informed that this year several new experiments were conducted successfully during Prayagraj Kumbha with the support of Uttar Pradesh government and various Peeth(Seats of Spiritual traditions) . These were done through ‘Vaicharik Kumbha”. These initiatives included ‘Yuva Kumbha’, MatriShakti Kumbha, Samrasta Kumbha, Paryavaran Kumbha and Sarvasamaveshi Kumbha where ideas were exchanged in a robust manner. Through an initiative called ‘Saksham’ several new initiatives were taken up for the people with special mental and physical abilities. During ‘Netra(Eye) Kumbha”, a new record was established where 800 experts helped in conducting eye tests for more than 2 lakh people. Also more than 1.5 lakh people were provided free of cost spectacles. 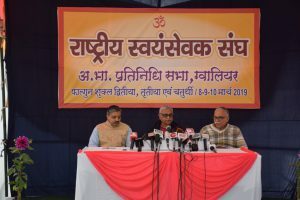 Dr Vaidya said that to improve the outrach of the RSS both qualitatively and quantitatively, the six Sah Sarkaryavahs of the organisation have taken meetings of 12000 swayamsevaks in 43 Prants. The RSS has focused since 1990 on various service projects through which 300 villages have been developed as role models. Similar initiatives are underway in another 1000 villages now. The working plan of the RSS has laid special emphasis on conservation and promotion of Cows of Bharatiya species and the cow products. Also through the initiative of ‘Kutumb Prabodhan’ , effrots are being made that people should spend more time with their families. 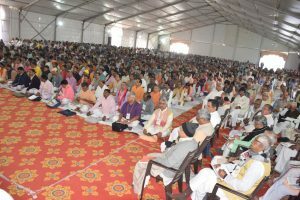 The RSS has included a new inititaive of creating awareness in the society about environment conservation and water management in its work plan and it is working towards that.